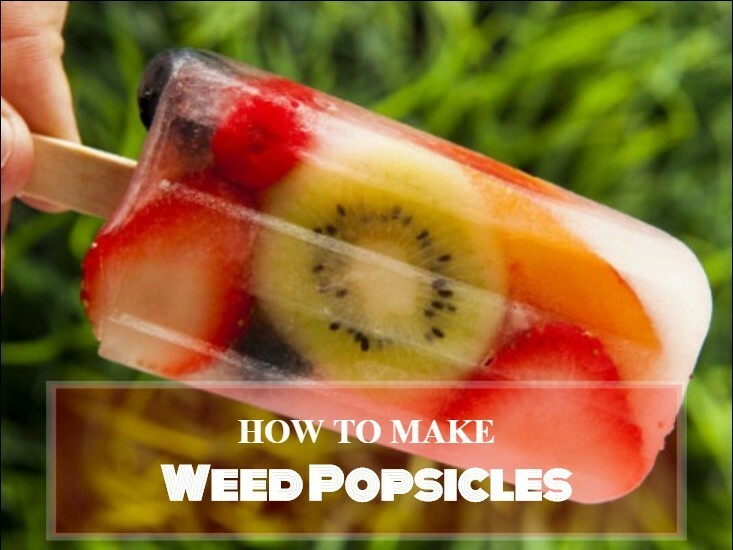 Weed popsicles are one of the easiest weed recipes to make of them all. A frozen treat can offer something different than something baked out of the oven, and can easily be stored in the freezer. This recipe uses medicated coconut oil, which is essentially THC infused coconut oil. What this means it that you don’t have to go through all the hassle of decarboxylating your own marijuana and can create a delicious weed popsicle at your ease. If you are not a fan of coconut oil, feel free to substitute it for another variety of medicated oil. This recipe is very coconut orientated, as you can guess from the ingredient list! There is very little to making your own popsicles, and it basically consists of 4 easy steps. Place everything into a blender. Blend the mixture until smooth. Pour them popsicle molds. Freeze! You now have your medicated popsicles which you can enjoy on a hot day or whenever you feel like a tasty frozen THC snack. Because this recipe is so simple, we are also going to run through how to make your own mediated coconut oil if you are not buying from an online store. This is also an easy process. All you need is two cups of coconut oil and an ounce of marijuana. Place the ground up marijuana and the coconut oil into a pan and heat, letting the THC infuse into the coconut oil for about 20 minutes or so. Do not boil as this will destroy much of the THC. Strains the mixture using a cheesecloth or sieve into a jar or bottle and you now have medicated coconut oil. The procedure is pretty much the same if you are making any type of medicated oil. The main thing to watch out for is that the mixture is slowly simmered so that the THC can infuse into the oil. Some oils have very low combustion temperatures.